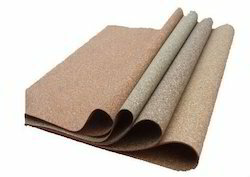 Manufacturer of a wide range of products which include cork wall sheet, cork sheet, cork rubber sheet, plain cork sheet, rubberised cork sheet and rubbished cork sheet. We are one of the conspicuous names in the industry for the inclusive range of Cork Wall Sheet for our valuable customers. Our range is suitable for the bulletin board, coaster or gasket applications. Used top grades material and advanced tools to design the entire range of products. Apart from this, we are offering these products at leading market rates. 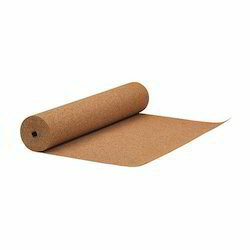 Our domain experts have helped us to come up with a wide array of Cork Sheet. These offered products are designed using best quality components. These products are used in various fields. We offer our products in many different designs to meet the specific demands of our clients. Apart from this, we are offering these products at leading market rates. 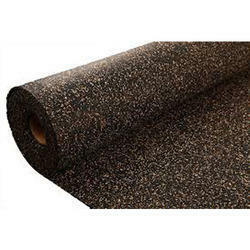 We have gained rich industry experience in this domain of in offering a wide range of Cork Rubber Sheet to our valued clients. These offered sheets are quality tested on various standards of quality to assure that quality approved products delivered to our customers. Furthermore, offered range is available at reasonable prices. Automobiles: Gaskets for Engine, Gear Boxes, Oil Cans, etc. 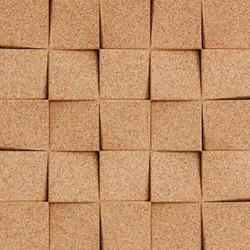 Backed by rich industry exposure, we are engaged in offering an extensive range of Plain Cork Sheet. The offered range of product is designed from optimum quality material and is highly acclaimed for its finishing and attractive pattern. These products are tested on various parameters to follow the ongoing market trends. We assure timely delivery of our offered products. 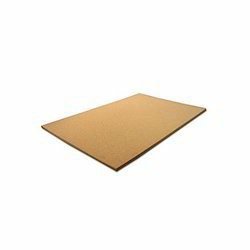 We are offering a superior quality of Rubberised Cork Sheet. 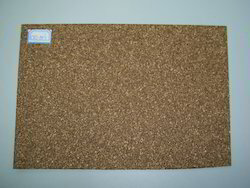 We are the leading name in the market engaged in offering a wide assortment of Rubbeised Cork Sheet. This is available in various varieties that are natural wine cork stopper, fine grain agglomerated wine cork stopper, agglomerated wine cork stopper, and technical 1+1 wine cork stopper. These are made from specially selected corkwood, which is cut into shape, carefully checked for flaws, washed, sterilized and printed.